Inside the United States, homeowners are allowed to deduct their fixed-rate and adjustable rate mortgage (ARM) interest payments & property mortgage insurance (PMI) from their income, subjet to the IRS form 1098 limits. When making the decision to rent or purchase a home, you must first consider the obvious financial aspects of your current living situation as well as a variety of emotional and personal factors. Many potential buyers favor homeownership instead of renting due to the alleged tax benefits. However, there is more to owning a home than simply writing off the cost on a tax return. Some of the money homeowners pay for their mortgages goes directly toward building equity into the property. If you rent your home, you will never again see any of the rent money. Home equity can also serve as collaterals for loans, enabling homeowners to essentially convert the equity into cash. On the other hand, equity is not established overnight; it takes time to build. Payments that you make during the first few years of holding a mortgage should primarily go toward paying the interest on the loan. Should you move after living in your home for only several years, you may have little or no equity. After the costs of selling your property, you may actually lose money in the process. Whether you are a general homeowner or a professional real estate investor, properties in the form of your primary residence is most likely the largest asset in your portfolio. Over time, the price appreciation on the home may become significant. Many homeowners downsize their primary residences after retirement; they sell the home at a profit, purchase a less expensive home and subsequently use the profits they earn to supplement their income during retirement. While history shows that it is likely that your home will increase in value over time, there are often no guarantees that this will be the case when it comes time to sell your home. There are always areas throughout the country where properties have lost value, and owners find themselves unable to sell their homes at a price equal to or higher than the original purchase price. Unlike the money that is used for rent, the property taxes and mortgage interest are deductible on federal income tax returns. If you sell your residence and make a profit, your gain is likely to be exempt from your federal tax return. If you take out a home equity loan, all or some of the interest that you have paid may also be deductible. However, tax breaks on property taxes and interest only apply if the amount of the homeowner's itemized deductions is greater than the standard deduction. In other words, if a homeowner has a standard deduction of $9,700 and his or her itemized deductions total $8,000, he or she is better choosing the standard deduction because it is higher than the itemized amount. However, in that case, a homeowner will not receive a tax break on the interest that was already paid. Even when itemization indicates a greater tax break than the standard deduction, a homeowner is only allowed to deduct a portion of the interest payments. For instance, if a taxpayer is in the 33 percent tax bracket, he is entitled to a $0.33 tax deduction for every $1.00 spent on interest payments. While some feel that a small tax break is better than nothing, potential homeowners should ask themselves if it makes sense to spend the whole dollar just to receive $0.33 back. The benefit of the tax break does not always exceed the benefit of paying for a home in cash, if and when it's possible, and foregoing the tax break altogether. Instead, every dollar you spend in interest adds to the amount above the total purchase price of the home that you will need to make back just to break even when you decide to sell the property. Additionally, owning a home means having an obligation to pay real estate taxes each year; even after you finish paying off your mortgage, you will still need to keep making those payments to someone else while you continue to reside at the property. How are Mortgage Interest and PMI Treated for Income Tax Purposes? Many current homeowners know of the tax breaks related to their home that they are entitled to claim each filing season. However, for those still on the fence, there are also many added costs that can come from purchasing a home. For buyers unable to pay a down payment of 20 percent of the purchase price of the home, a private mortgage insurance (PMI) cost may be added to their monthly rate. A PMI policy is coverage that you pay for yet it also protects the lending institution in case you are unable to make payments and end up defaulting on the loan. However, some homeowners who pay PMI may be entitled to use those payments as a tax deduction on their federal returns. Created as part of the Tax Relief and Health Care Act of 2006, the PMI tax deduction originally applied only to PMI policies issued in 2007. However, because the recovery of the housing market has been slow, lawmakers have extended the tax break and is in effect for PMI premiums paid through 2013. Homeowners may use the PMI deduction for policies issued either by the Federal Housing Administration, the Department of Agriculture's Rural Housing Service, the Department of Veterans Affairs or those issued by private insurers. Many homeowners itemize their deductions because their property tax and mortgage interest payments exceed the standard deduction amount to which they are entitled to claim. You may look in the “Interest You Paid” section of your Schedule A tax return to find the PMI deduction. While it is easy to claim the deduction, there are certain requirements that homeowners must meet. You must first know when you paid the mortgage insurance; you are only allowed to take the deduction if you took out the loan on which you pay PMI either on or after January 1, 2007; you are ineligible to deduct your PMI premiums if they were made on a home loan purchased before that date. Any new mortgages and PMI premiums issued through 2013 will qualify. Additionally, if you have refinanced your home since the start date, you may also qualify for a deduction. Be careful how you structure your refinancing, however; the deduction applies to refinances up to the original amount of the loan, but not to any extra finances you may have obtained with the new loan. You may also be entitled to deduct PMI payments on additional mortgage loans. As is the case with your primary residence, the loan on the second residence must have been issued in 2007 or through 2013 to be considered deductible. The additional property must also be a vacation home or for your personal use. If you rent additional properties, you could pay PMI without any aid from the Internal Revenue Service (IRS) unless you successfully claim other tax breaks on the property as a rental. While there is no limit on the amount of PMI payments homeowners may deduct, the amount may be reduced based on your monthly income, also known as an income phaseout. The deduction begins to be phased out when your adjusted gross income (AGI) is greater than $100,000. The limit applies to married filing jointly, head of household, or single taxpayers. For married persons filing separate returns, the phaseout starts at $50,000 AGI. The deduction is reduced by 10 percent for every $1,000 your income is over the AGI limit. In other words, if your AGI is greater than $109,000 as a single taxpayer or $54,000 for taxpayers married filing separately, you can expect that your deductions will disappear completely. Is There a Potential for Capital Gains on the Sale of a Primary Residence? While there are often generous exclusions allowed in terms of capital gains on the sale of a primary residence, the clock is always ticking; time is crucial. Under current laws, if homeowners sell their primary homes and make a profit, they are entitled to exclude $250,000 of that profit from their taxable income; that amount is solely for individuals. If both spouses each meet the ownership requirements, married couples may be entitled to exclude $500,000 from their income. Depending how much of a profit you make on the sale of your home, spouses could potentially receive no capital gains tax bill whatsoever. 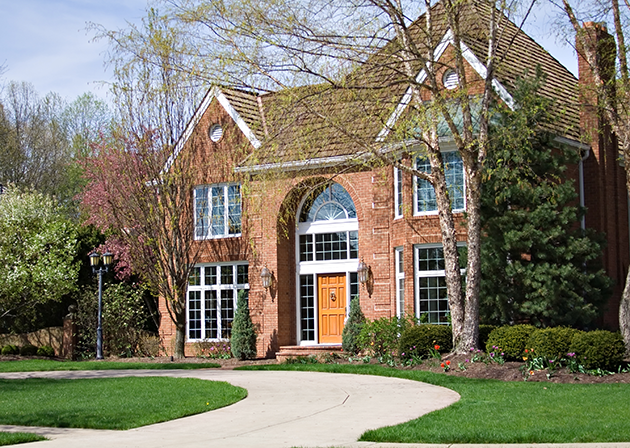 In order to claim the maximum exclusion, homeowners are required to pass what the IRS labels as “ownership and use tests.” According to federal law, the homeowner must have been in possession of and lived in the home for at least two years, and the homeowners must have had lived in the house as his or her principal or primary residence for two out of the past five years, ending on the date that he or she sold the home. However, there are exceptions to these rules. If you had to move away from the property before owning the home for two years due to an unforeseen circumstance such as a natural disaster or divorce or you were forced to leave due to a job change, the IRS will allow you to prorate the exclusion. Additionally, the two year timeframe does not need to be consecutive; as long as you lived in the home for 24 months out of the five years before the sale of the home, you are eligible to exclude your profit from your taxable income. To determine potential capital gains on the sale of the property, subtract the cost basis from the selling price. The cost basis is not only the purchase price, but it includes specific fees and costs associated with the purchase such as commissions, closing costs, settlement fees and the cost for improvements such as plumbing, landscaping, roofing, additions and upgrades. The total number is your cost basis. You can estimate your sale price and subtract this total. For example, if you purchased your home for $350,000, paid $50,000 in material improvements, invested $25,000 in related fees and costs, your cost basis is $415,000. If you expect to sell your home for $850,000 your potential capital gain would be $435,000. In this example, a married couple could exclude the entire profit from their taxable income; they would not be required to report the sale on their tax returns. If the capital gain increased to $525,000, they would need to report the sale and would be required to pay long-term capital gains on $25,000. 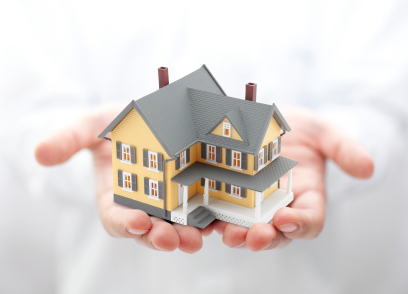 What is a 1031 Exchange or Other Tax Advantages of Homeownership? A “Section 1031” is making its way into daily conversation for professional tax investors, although the term has a long way to go before it can compete with the popular 401(k) plan. A 1031 exchange is a trading of one investment asset or business for another. Although most of these trades are taxable as sales, if you fall within 1031, you will either have limited tax or no tax due at the time of the swap. In other words, you can change your investment without recognizing a capital gain or cashing out; your investment can continue to grow tax deferred. There is also no limit on how many times or how often homeowners can do a 1031. You may roll over the gain from one piece of real estate to another and another. While you may obtain a profit on each trade, you can avoid paying tax until you actually sell the property for cash years down the road. If you have succeeded in swapping smartly, you will only pay one, long-term capital gain rate. Buying a home is usually the largest purchase and among the most important financial decisions a family can make. While there are numerous factors that can influence the choice to buy a home, the potential tax benefits can make or break the decision. Aside from the deductibility of PMI and mortgage interest and the potential for capital gain tax exclusion, some homeowners also consider purchasing homes for the possible deduction of real estate taxes. Calculating the net benefits of homeownership may seem straightforward but can lead to overestimation if not calculated in the context of current income tax rules. At first glance, a monetary value of deductions is equal to the marginal tax rate times the sum of the deductions. For example, a homeowner who deducts $10,000 of real estate tax and mortgage interest deductions and who falls in the 25 percent tax bracket could expect a savings of $2,500 on his or her tax return. However, this example overstates the average benefit by failing to account for the fact that a typical taxpayer must itemize his deductions in order to receive a benefit. Unless the sum of the itemized deductions exceed the standard deduction, it may not be in the taxpayer's best interest to itemize. Additionally, a tax incentive that became available in 2009 provides first-time home buyers with an $8,000 tax credit, increasing the tax savings of the first five years of which you own a home. Whether you currently own your home or are seeking to purchase a property for the first time, there are certain financial benefits and drawbacks of homeownership that you must consider before taking the first step. Savings of thousands of dollars are possible, but only if you and your spouse fall into the right category and research your options prior to selling your home.